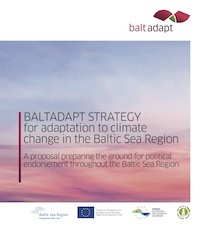 The Baltadapt Strategy and the Baltadapt Action Plan are aiming to prepare the ground for a political endorsement of a Baltic Sea Region Strategy and Action Plan on Adaptation to Climate Change. 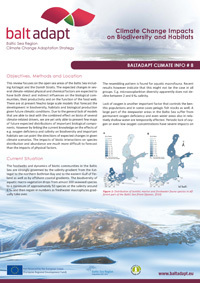 Baltadapt Climate Info is a series of short bulletins on the impact of climate change on the Baltic Sea. Each issue reviews the expected impacts on one selected indicator, such as air temperature, sea level rise or eutrophication.